Crude continues to show strength largely due to the momentum from oil prices and US sanctions that are giving the crude market some wind in its sail. 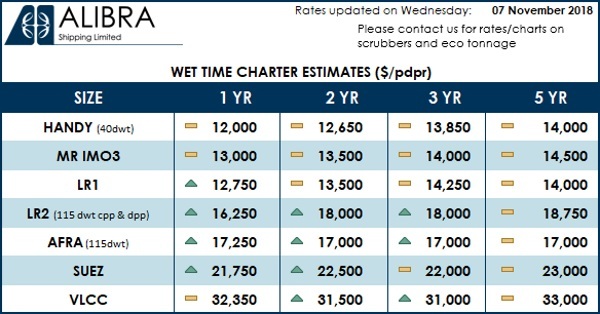 The strong VLCC market this week has supported the suezmax and aframax markets, pushing up rates again this week. The clean market remains disappointing and we look forward to a time when both clean & dirty markets run in tandem.